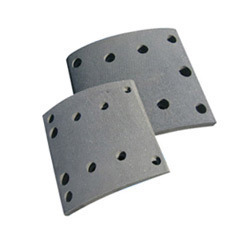 Manufacturer of a wide range of products which include brake liners and brake liner. We have marked a distinct position in the industry by manufacturing, trading, exporting and supplying the finest quality Brake Liners. In adherence to set industry standards, our offered liner is manufactured using high class raw material and updated technology under the supervision of our dexterous professionals. It is available in various sizes as per our client’s requirements in national as well as international market. Apart from this, it is thoroughly checked on different parameters to ensure zero defects. Clients can purchase this liner from us at nominal rates. Our years of market knowledge and experience have enabled us to establish ourselves as a famous manufacturer, trader, exporter and supplier of quality approved Brake Liner. It is widely used in automobile industry for specific purpose. This liner is manufactured by our professionals using high grade raw material and cutting-edge technology. Our offered liner is widely demanded in the global market due to its features like optimum performance and durability. 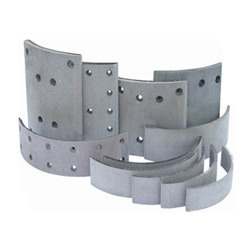 We are counted as the well-known manufacturer, trader, exporter and supplier of quality approved Brake Liners. This liner is manufactured using high quality raw material and innovative technology in accordance with international standards. Before the final dispatch, we make sure that our complete array of this liner is strictly tested on well-defined parameters. Moreover, this liner is available in various sizes so as to meet the different requirements of our clients. 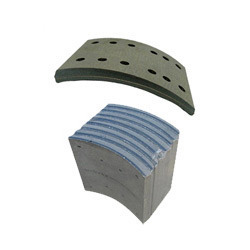 Our domain expertise has enabled us to come up with an outstanding collection of Brake Liners. Our offered liner is generally used in vehicles. This liner is manufactured by using the superior quality raw material that is sourced from some reliable vendors of the market. Furthermore, we offer this liner in different types of sizes as per the changing requirements of our clients. Our valuable clients can avail this liner from us at most affordable prices.